For the past six years, Discrepant (in opposition to its title which means inconsistent, conflicting) has been by far one of the most consistent and impressive record labels around. Based in London, the label´s aim is to deconstruct, distort and re-assemble the precept of (un)popular music by all means. And their vast catalogue comprising more than 50 releases is the most solid proof of total dedication and a visionary approach upon the endless world of music. Founded in 2011, they have produced a number of fine vinyl releases for all sorts of experimental music, including vinyl releases by Kink Gong, Charbel Haber, Ergo Phizmiz aka DW Robertson, Mutamassik, Meridian Brothers (plus side projects Romperayo and El Chupame), Rizan Said (the former keyboard player of Omar Souleyman), Cedric Stevens among others. 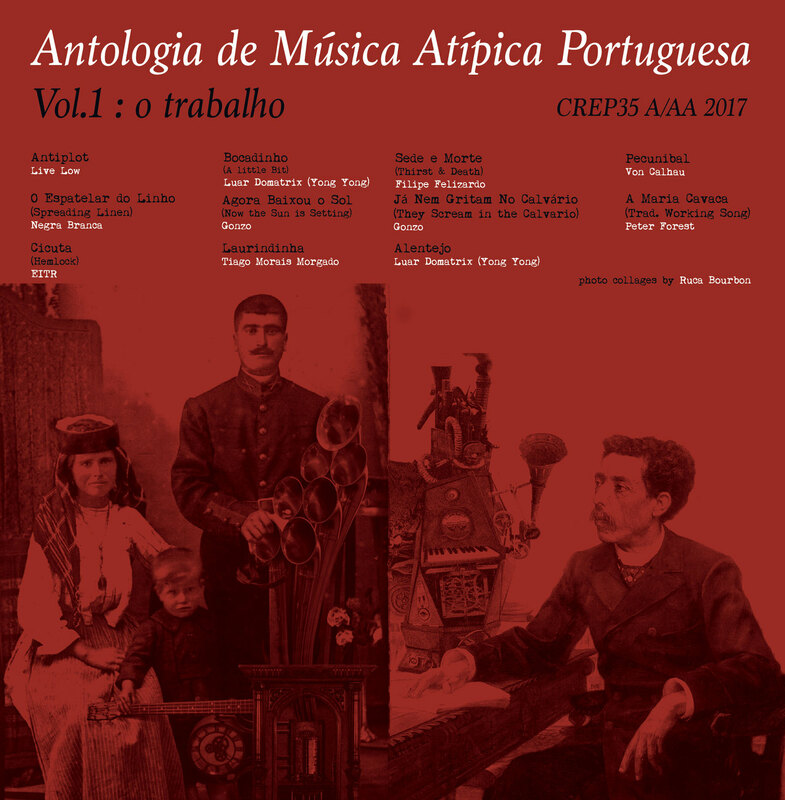 Antologia de Música Atípica Portuguesa (Anthology of Atypical Portuguese Music) is a series of volumes focussing on new strains of Portuguese music with an (un)characteristic foot in the past musical traditions of the country. The aim being to re-evaluate its musical history, de-construct clichés and re-assemble preconceptions into a new and daring musical landscape. The first volume of the compilation explores o Trabalho (Work), with various work songs, both at land and sea, being freely re-interpreted in a many different ways, with one foot locked in the past musical traditions and another foot in the future of music. Listener is softly guided through the vocal & tape works of Live Low, the ethereal pastoral drifts of Negra Branca (Marlene Ribeiro from Gnod), free jazz experimentations of EITR (Pedro Lopes & Pedro Sousa). This music will change your mind about any atypical Portuguese music, if ever these kinds of thoughts occured. Don´t miss this, it can be the perfect companion of a cold winter.